Our office is located right off of I-75 on Miami Gardens Drive, easily accessible from Hialeah, Miami Lakes, Pembroke Pines, Miramar, Miami Gardens and the surrounding areas. 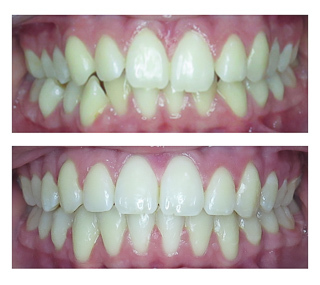 *Actual fee will depend on length of treatment required, which will be determined during your consultation. Monthly payments shown based on financing through CareCredit® at 14.9% for 48 months. Free Consultation – Our doctors will perform a full examination and discuss all findings and treatment options that best fit your needs – at no charge and with no obligation. We don’t believe in pressure selling or tactics. We are an honest group of people that worship our reputation and we are here to help in any way we can. Low Monthly Payments – Our goal is to make our exceptional treatment and service available to everybody. That’s why we offer 0% in-house financing. We don’t require any credit history or information. We do this in good faith to help our patients. In most cases all that’s needed to start treatment is the first low monthly payment. For those who need it, we also offer extended payment plans through CareCredit. Transparent Pricing – All our treatments are all-inclusive. We don’t charge extra for anything related to your treatment. Whether you have an emergency, break a bracket, need a special appliances, or just want to come in to discuss your treatment – we never charge extra for any of these. We want to get the financials out of the way so we can focus on what we do best – provide exceptional patient care. 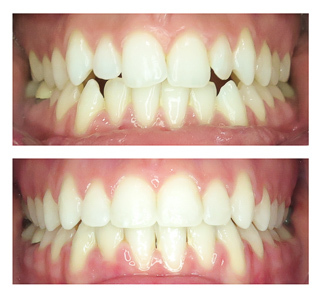 Free retainers with treatment – All our treatments include free retainers, including any replacement of lost or broken retainers for a year after treatment is completed. 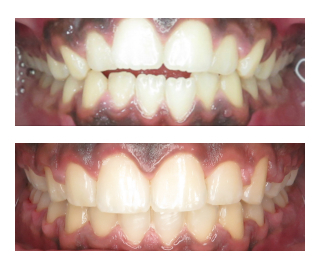 We don’t charge separately for retainers like you may have heard in other practices. 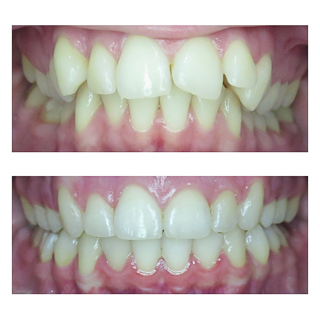 We also do follow-up appointments for a year after treatment is completed. 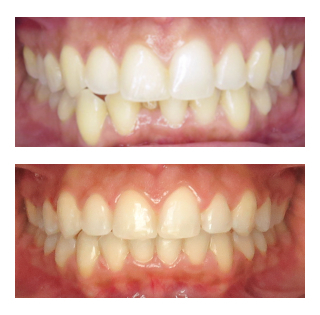 Our reputations is very important to us and we want to make sure you’re happy during and after treatment. We accept most dental insurances – Our team will work with you and your insurance company to get you the most coverage possible, thus reducing your total cost. 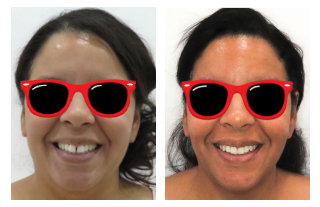 Satisfaction guaranteed on all our treatments – Our ultimate goal is to make our patients happy. We are in the “happy people” business. That’s why we have a satisfaction guaranteed on all our treatments – or your money back. Our Promise – That we will treat you as family and that we’ll put our hearts and souls into making this the best experience you’ll ever receive with any health care provider. Honesty and Transparency: We are an honest group of people that put our hearts and souls into helping each and every one of our patients. You can count on us being completely honest and transparent about every aspect of your treatment. 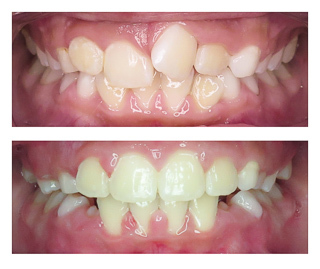 Our reputations is our most valued quality and we build it every day by treating our patients like family. The Best Team: Our goal is to provide you with the best experience you’ve ever had with any healthcare provider. And there is only one way of doing that – working with the best people. We only hire highly qualified and experienced people to join our team. Not only do we hire based on experience (most of our team has 10+ years of experience in the orthodontic industry), but amazing personalities as well. You will find the most welcoming team when you come visit us – people that truly care about you and are here to make sure you receive the highest level of care. 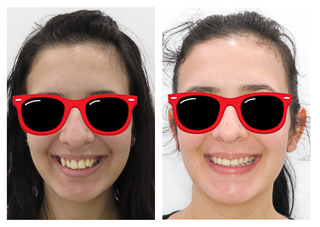 Free Consultations: At our Miami orthodontist office, we offer free, no obligation braces and Invisalign consultations, including digital x-rays. 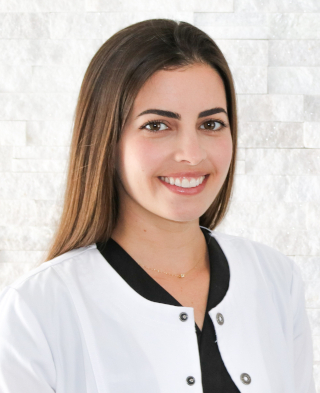 Also, if you have already seen another orthodontist for braces or Invisalign in the Miami area, we invite you to come in for a complimentary second opinion with our experts. Affordable Smiles: We offer flexible financing options for braces and Invisalign, including 0% Financing Payment Plans and CareCredit. 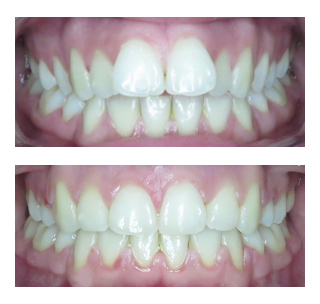 We also offer free monitoring for patients who are not ready for treatment, free retainers for up to a year after treatment, family and friends discounts, and complimentary second opinions. Insurance: We accept most dental insurance and will work to get you the maximum coverage possible. Convenient Hours: At Drubi Orthodontics, we value your time. That’s why we offer evening appointments until 7PM in our Miami orthodontist office. 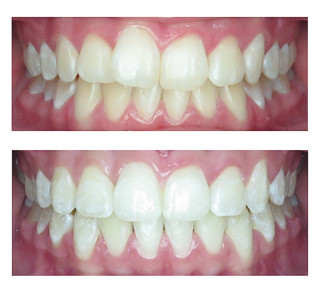 You have enough to worry about, and we guarantee you will not have to miss work or school to get a beautiful, confident smile. No Waiting: We see 99% of our patients in less than 5 minutes. Even though you will find a TV, magazines, and refreshments in our reception area, that is not what you came here for! Also, in most cases there is the option of starting treatment the same day! Our time is not more important than yours. And we stand by that. 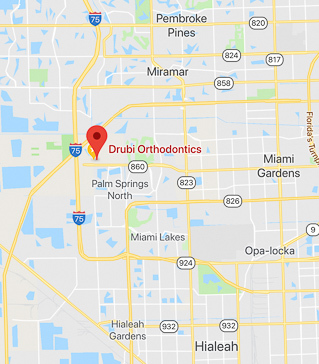 We Support Our Community: When you choose Drubi Orthodontics, you are choosing an office that supports your community. We continually support our local schools, activities, events, and charities. We also provide free orthodontic and pediatric dental care to children in need in our community. Top-Notch Specialists: When you choose Drubi Orthodontics for yourself or your child, you can put your mind at ease. Our specialists are leaders in their fields and have gone through extensive education at some of the best programs in the country. 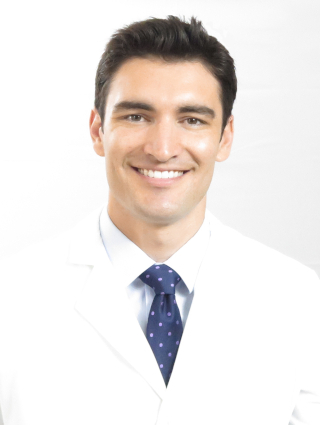 Dr. Drubi is also a published author, including many reports aimed at educating the public about the benefits of a straight smile and healthy bite, many of which you can find in medical and dental offices around the Miami area. 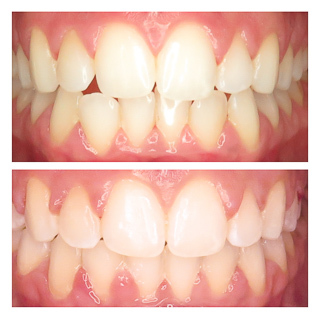 His latest book, “The Ultimate Guide to Getting Braces”, is aimed at educating patients and parents thinking about transforming their smiles with braces, Invisalign, ceramic braces, or invisible lingual braces. 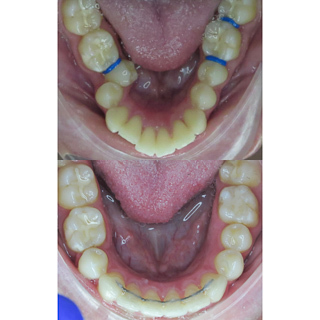 This was a very challenging case that required a lot of planning and careful execution. 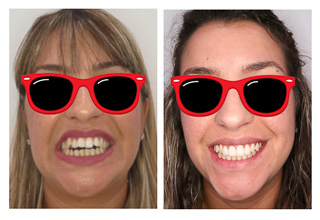 This required us to think and plan the space needed in 3 dimensions since it included expanding the smile, retracting the front teeth, aligning the teeth, and matching the midlines. 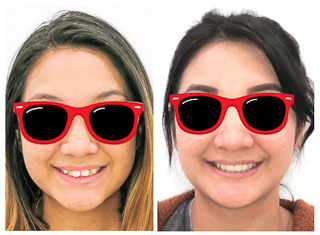 Notice the difference in the width of the smile and how it fills the space between the corners of the mouth, giving us a smile that is more in harmony with the face. 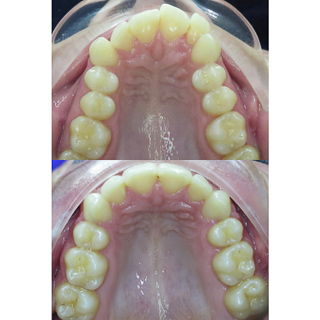 Planning our treatment to accomplish this and not only to align the teeth is what makes us specialists and allows us to consistently provide results beyond ordinary for our patients. 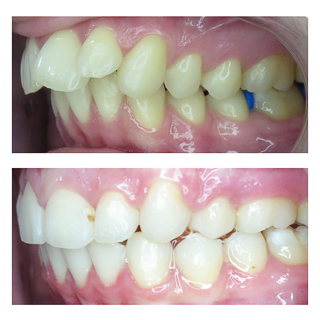 This very complex case took a little over 2 years and we were able to achieve all the goals we expected using clear braces. 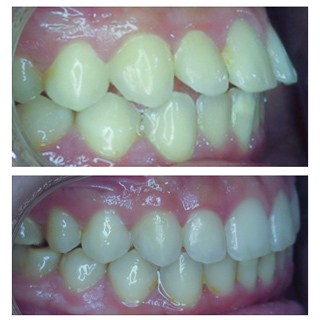 Patient was ecstatic with the results and so were we! 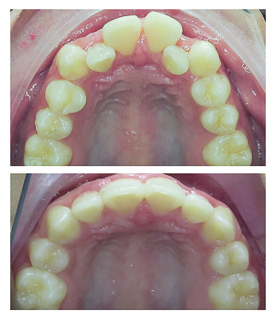 This patient came in with the complaint that she didn’t like the space between her upper and lower teeth. It was also affecting the function of her teeth, making it hard to bite into food. 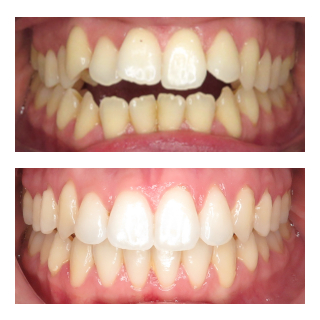 She chose to go with Invisalign for her treatment, which took 21 months to complete. 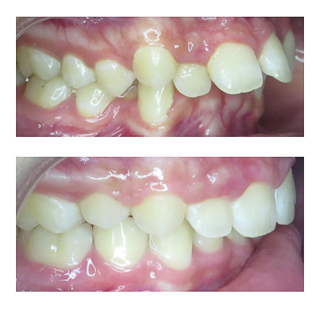 Complex cases like these are challenging with any treatment modality. Proper treatment planning, execution and experience are extremely important in these kinds of cases to achieve a good result. 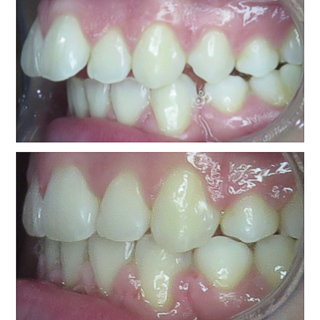 This patient was amazing and complied with all instructions, which really helped us achieve a beautiful smile for her! 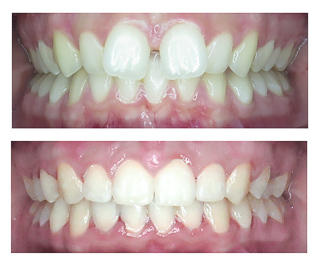 Notice the huge change in this smile once the teeth are brought together, with the upper teeth covering the space between the front teeth. Also note the widening of the smile, making it more harmonious with the face. 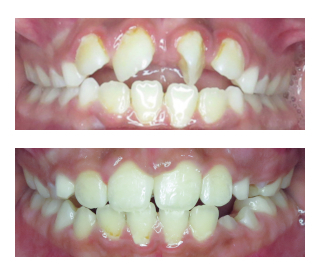 This patient came in with the complaint that she didn’t like the space between her upper front teeth. 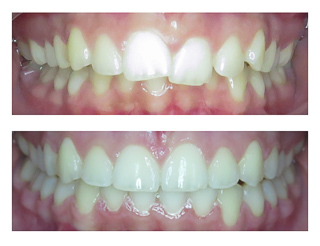 She chose to go with Invisalign for her treatment, which took 14 months to complete. 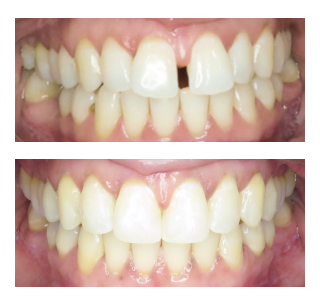 Notice the huge difference in the smiles before and after the gap closure. 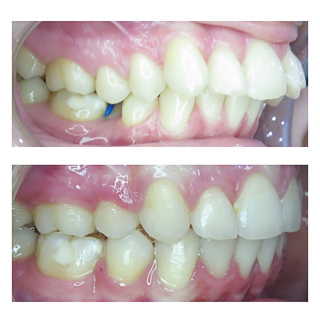 The most important part about these cases is maintaining the space closed after treatment is completed. 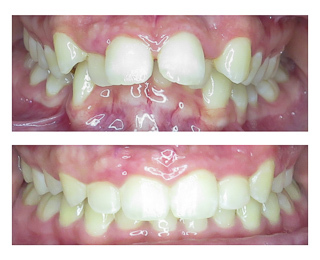 For this patient, we used both fixed permanent retainers and clear retainers to be used at night time to avoid the space from re-opening. 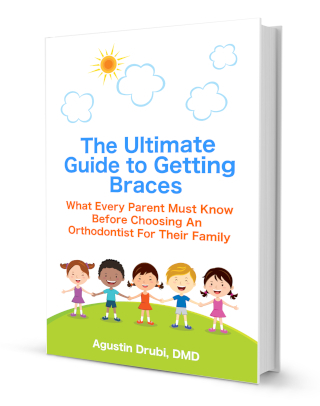 For a limited time, download a free copy of Dr. Drubi's latest book "The Ultimate Guide to Getting Braces"
How do I choose the best orthodontist?